Video and music streaming services have long become dominant worldwide yet the gaming industry hasn’t quite caught up to the likes of Netflix and Spotify. 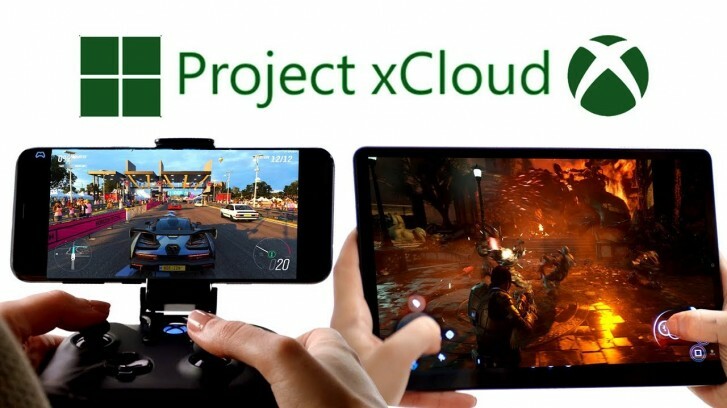 Microsoft is looking to capitalize on the opportunity to allow gamers on the go access to its Xbox library with the new Project xCloud. In a recent Inside Xbox episode, Microsoft CVP of Gaming Cloud Kareem Choudhry brought a working version of the new gaming service on what appeared to be a Samsung Galaxy S9. The phone was connected to an Xbox controller and ran Forza Horizon 4 in impressive fashion. We believe in the future where you will be able to seamlessly access content on your phone, tablet or another connected device. Imagine that you just began a single-player campaign the day before heading out of town and want to keep playing from where you left off. Maybe you just need a few more minutes to wrap up that weekly challenge before you head into work, but your bus just won’t wait. Or maybe the living-room television is occupied by someone else in the household when you arranged to play co-op with your friends. The service relies on the power coming from Microsoft’s data centers to run the demanding games, which are then streamed remotely to your phone. According to Choudhry, Project xCloud will not be a replacement to the traditional console, but rather an addition to the Xbox lineup allowing gamers to enjoy their content anywhere, provided a strong enough network is present. Sony has been running its Remote Play app for some time and with other big-name players like Google looking to get into cloud gaming, we may be on the verge of the next great streaming revolution.